It's hard to imagine how anybody could live a boring life in the world of Howl's Moving Castle. It's a dangerous world where battleships float on sea and air, handsome young wizards steal and eat the hearts of beautiful young women, and amorphous blobs of pure malice bubble up from the street and follow you home. Even the witch of the waste is on the prowl. And yet somehow young Sophie, in her drab, older woman's clothes and the simple practical hat she's chosen from the family hat shop, has carved out a perfectly ordinary existence inside a steampunk universe that seems to be inspired by both Victorian science-fiction author Jules Verne and Wizard of Oz creator Frank L. Baum. Well, her life is ordinary until she meets the Wizard Howl and insults a tacky witch who curses Sophie by transforming her into a stooped, 90-year-old woman. Master of animated storytelling Hayao Miyazaki has spun more easily followed tales (My Neighbour Totoro, Kiki's Delivery Service) and finally cracked the American pop consciousness with Spirited Away. 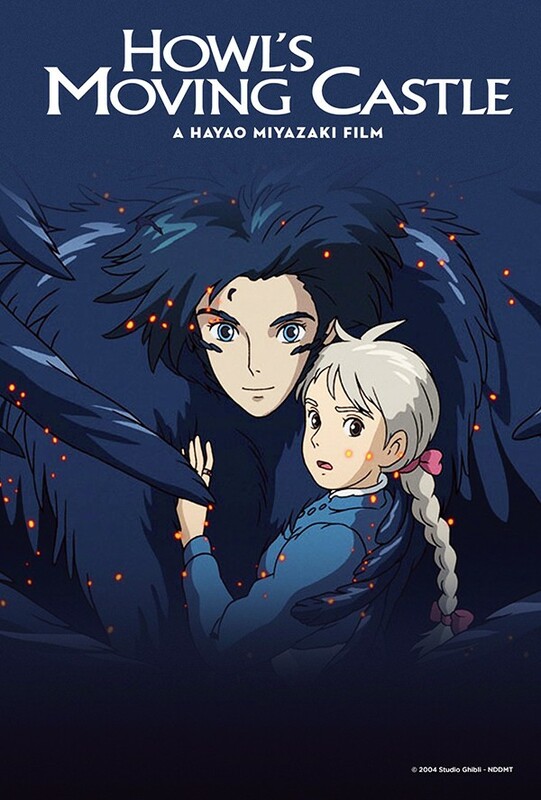 But in spite of a plot that meanders, loose ends that only get looser as the film lumbers forward, and an ending made to try the patience of anyone who requires earnest resolution, Howl's Moving Castle is one of the most magical films ever made. The eponymous castle isn't much of a castle, really. It's more like a broken cottage Monty Python's Terry Gilliam might have pieced together with industrial detritus and other odd bits of junk, lumbering through a world of war, soldiers, and enchanted scarcrows on enormous chicken feet. The metaphors are rich, and the A-list cast of English-speaking voice actors includes Christian Bale, Billy Crystal, Jean Simmons, Lauren Bacall, and Blythe Danner. So, if you've somehow found yourself living a boring life (inside a hat shop or not), let the hand-drawn and gorgeously detailed frames of Howl's Moving Castle bring some color to your world. It really is something that should be seen on the big screen, and on Monday, November 27th, you can catch it at Malco's Cinema Paradiso.